RED-BOX 72042 War of the Roses 3. 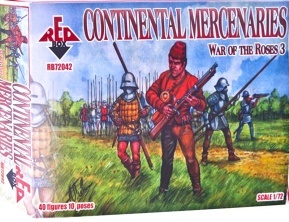 Continental mercenaries. Released 2012. 40 unpainted plastic figures. 10 different Poses.